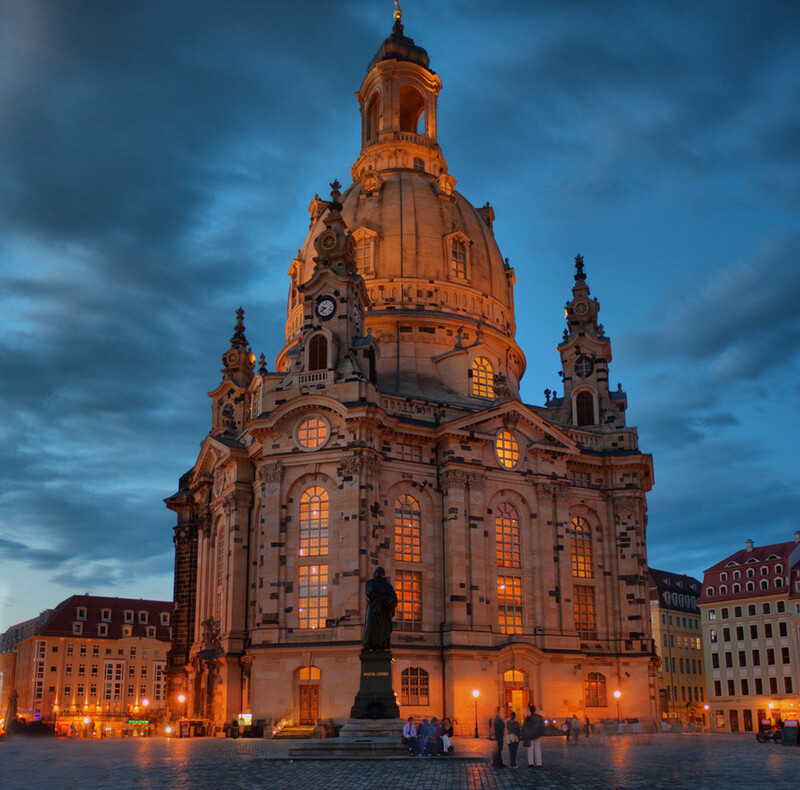 The Dresden Frauenkirche – a Lutheran cathedral – was built in the early 1700’s and stood for over 200 years as a place of worship and the spiritual center of the city of Dresden. 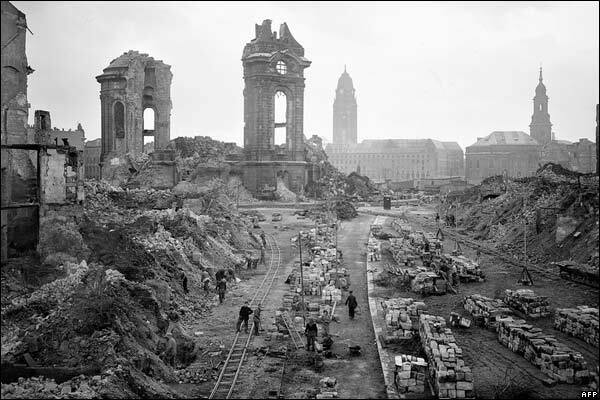 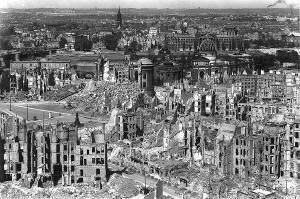 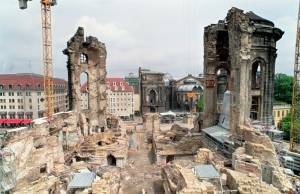 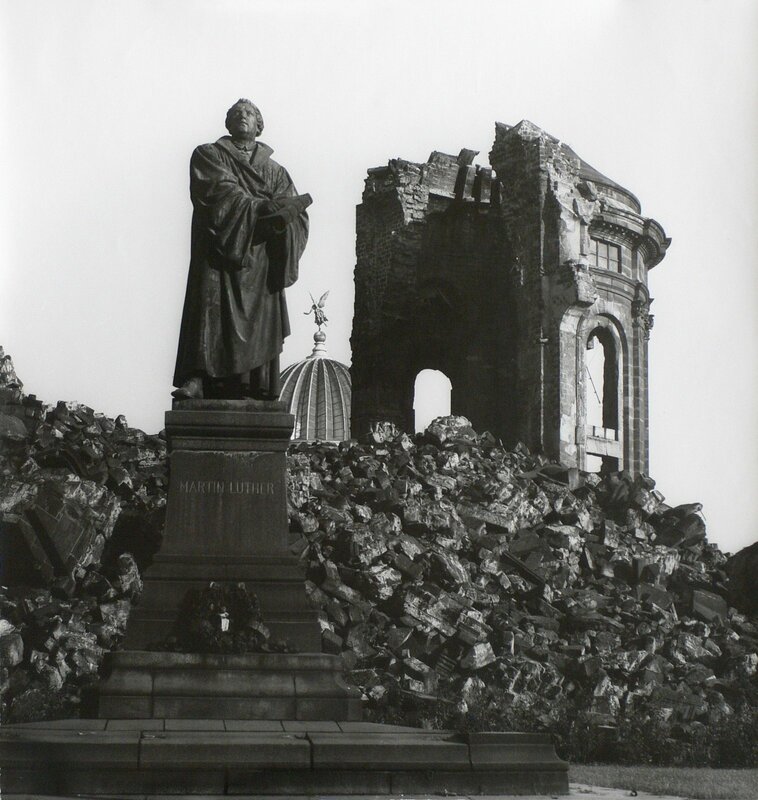 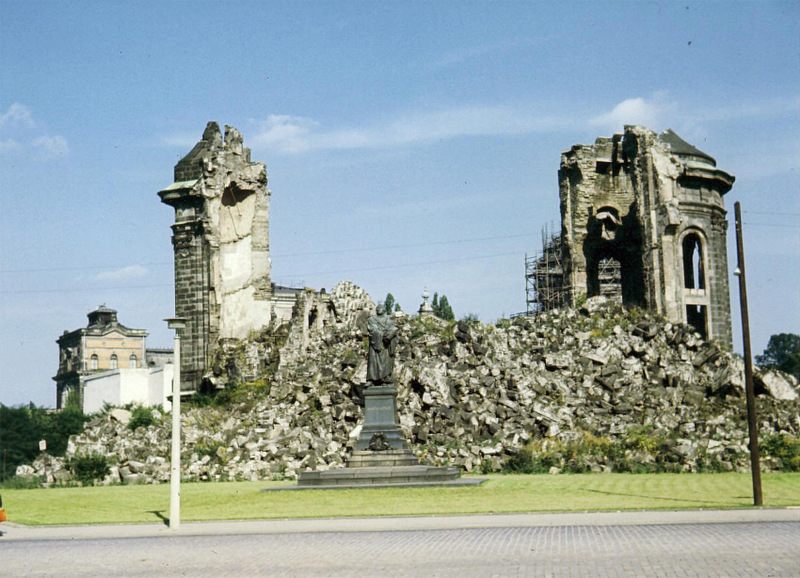 In 1945, as a result of the bombing of Dresden, the church collapsed into a pile of rubble. 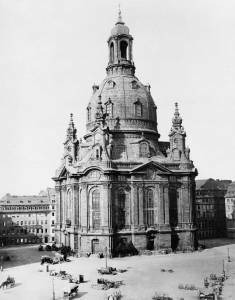 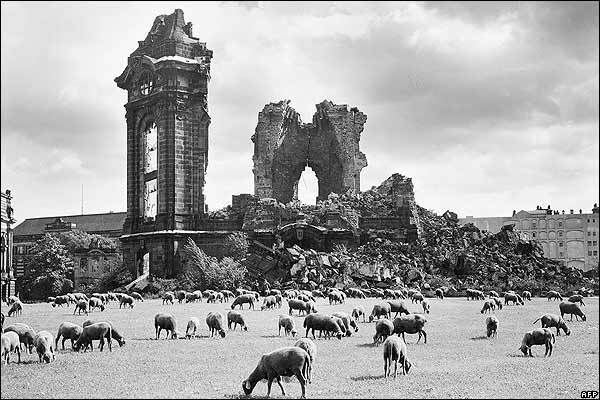 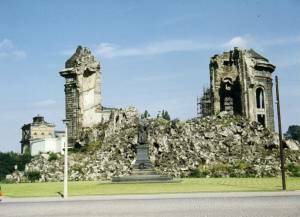 Immediately after the war, funds were not available for rebuilding, and when the Communist government of East Germany took over they were not interested in funding or even allowing for the building of any churches. 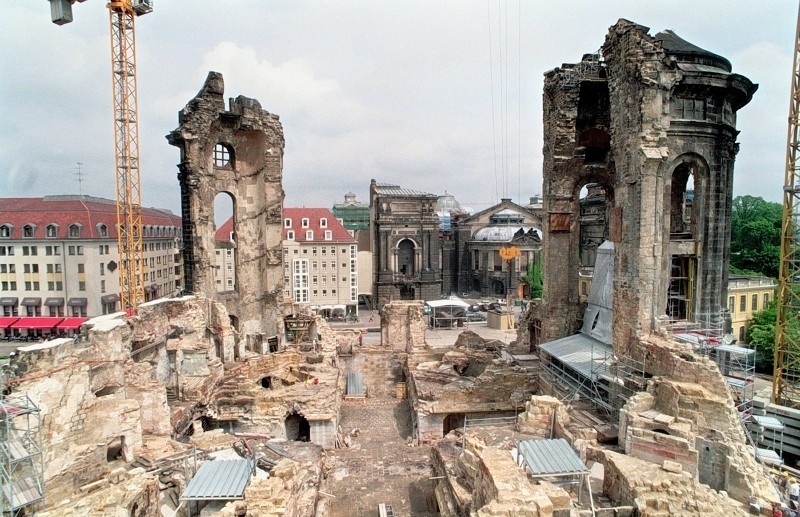 So the pile of rubble sat there, and it was preserved. 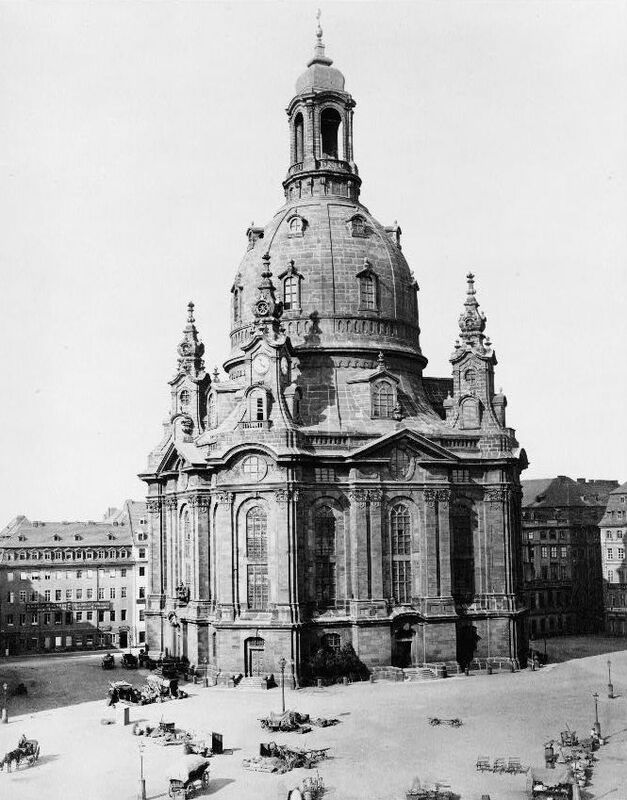 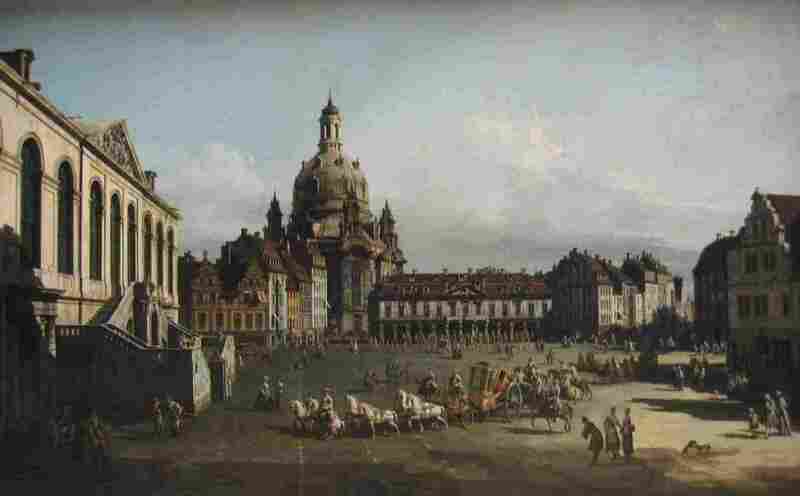 The original plans for the church were saved, and the citizens of Dresden awaited the day when they could begin rebuilding the church. 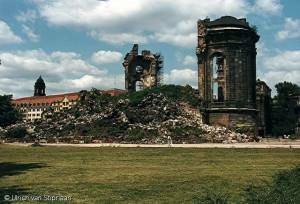 Finally the day came, shortly after the reunification of Germany in 1990. 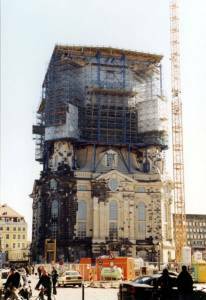 The rebuilding project was begun, and the new church began to rise in the place of the old one, built according to the original plan. 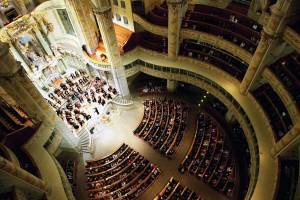 The story of the Frauenkirche helps us understand the plans God has for the new Earth. 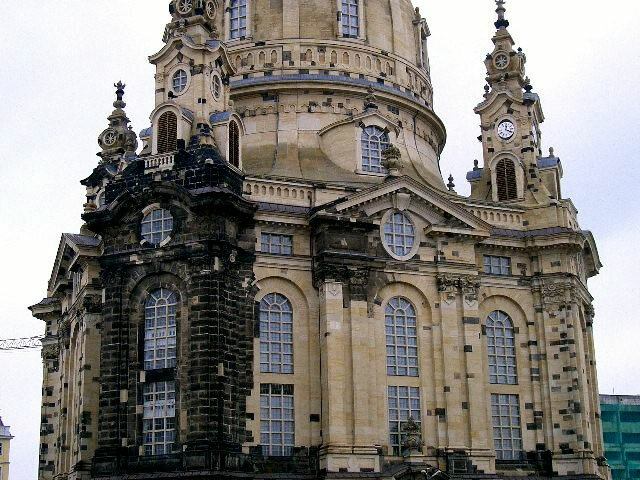 Just like the original church, which was built for the glory and worship of God, so the original earth declares His glory and causes us to worship Him. 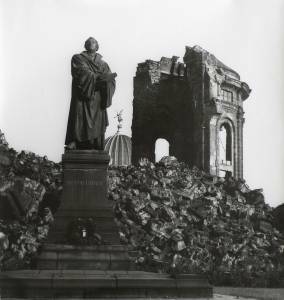 Just as the Frauenkirche was destroyed by fire, so will the earth be destroyed by fire – yet in both cases, a remnant is preserved, waiting for the restoration of the former creation. 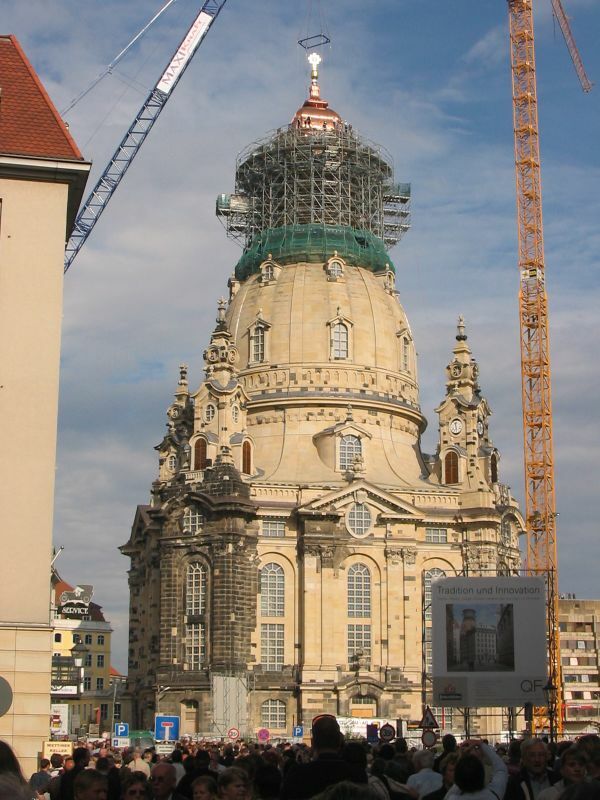 Just as the new earth will reflect God’s design, so the restored Frauenkirche was built according to the designs of the original architect – whose purpose was to glorify God and reflect His nature in the building. 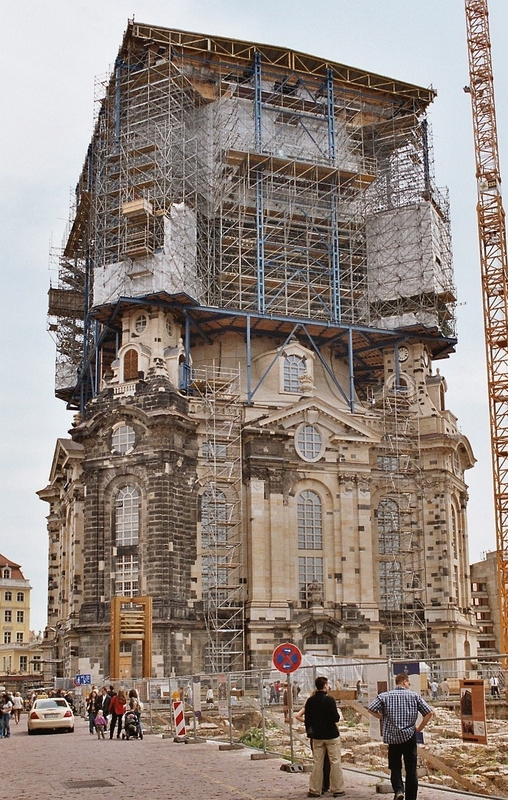 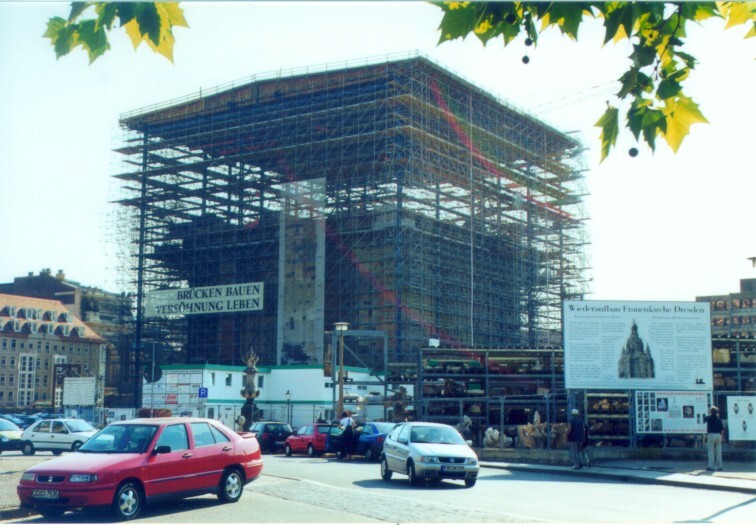 In the rebuilding of the church, original materials were used whenever possible. 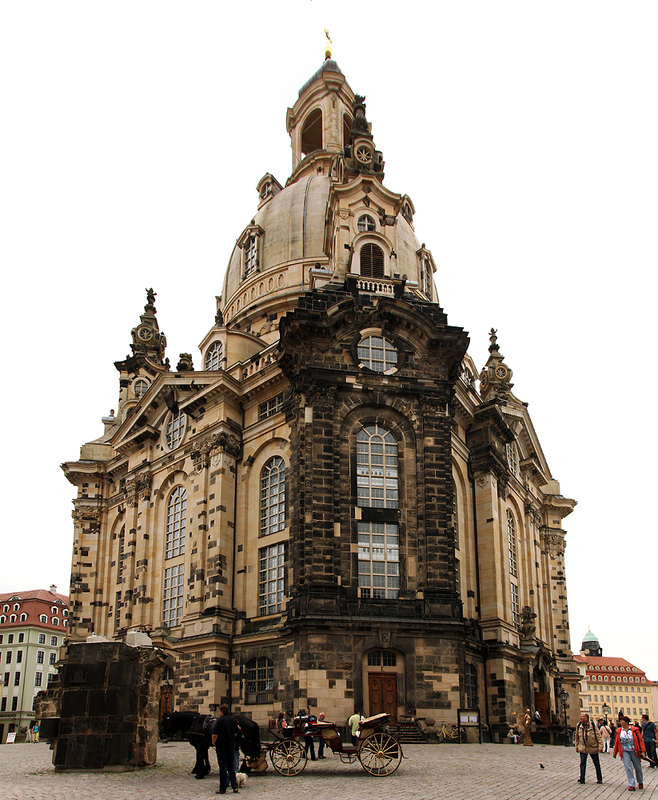 These parts are easily distinguished from the new construction because they are so dark. 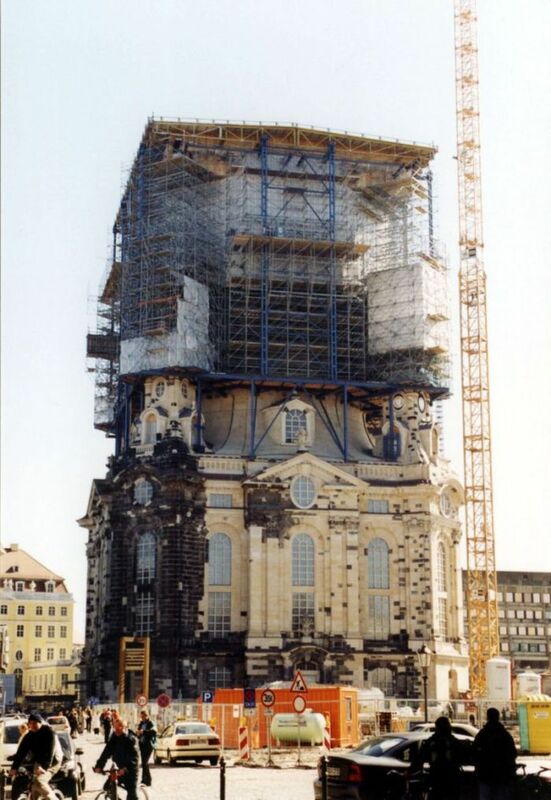 So the raised and restored church bears the visible marks of the destruction it went through. 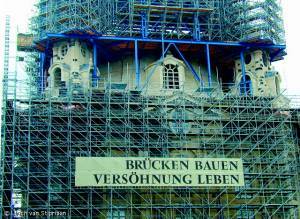 This parallels the post-resurrection preservation of the marks of the crucifixion on Jesus’ resurrected body. Just as He was raised from the dead to eternal life, so will we all be raised one day. Those marks are a sign of the hope that awaits us – that God’s will triumphs over death, and that He is always with us, even in times of tribulation and suffering. 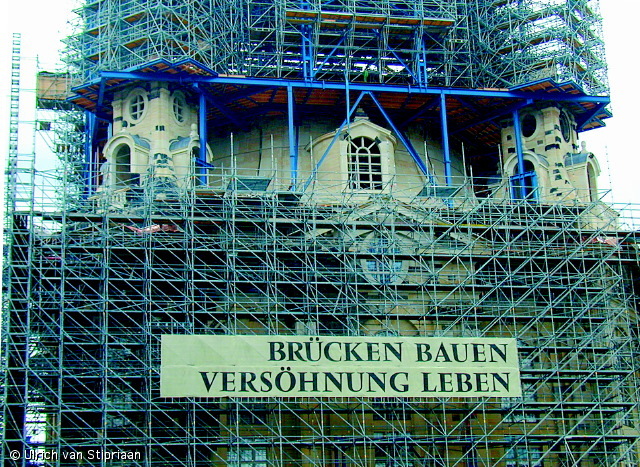 He does not abandon us – He goes through the suffering with us. 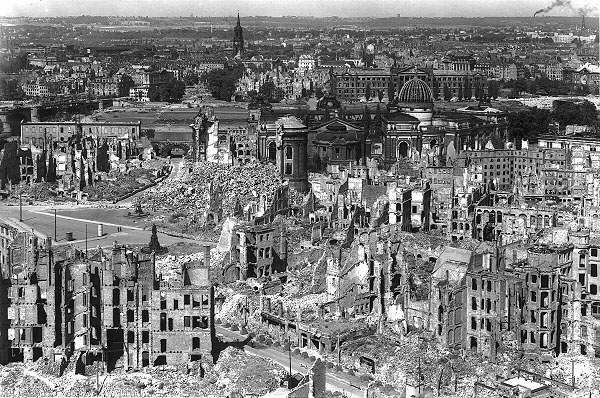 Dave, this is a wonderful analogy. 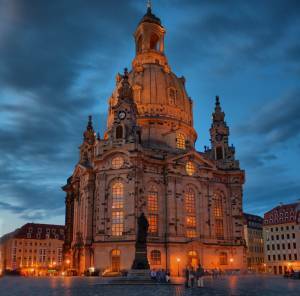 Thanks for sharing your heart, your knowledge, and your insight.